still the town overflowed. 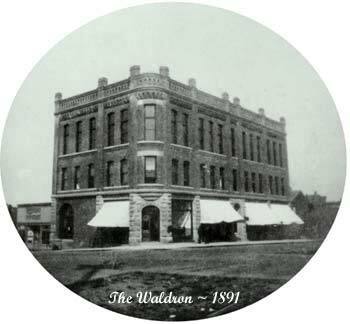 The Waldron Building was built during this boom in 1891. The bank of Fairhaven, a stationery store and real estate offices were among it's first occupants. Fortunately for us today, the Fairhaven terminus never materialized, and a peaceful historic district full of charm and bay views remains for our enjoyment. This grand historic building still makes a commanding statement when entering the heart of Fairhaven.